In my readings I connect to my spirit guides and use clairvoyance, tarot cards and sometimes psychometry to bring through messages of guidance, support and insight. As a Tarot Consultant my aim is to use the Tarot to help you navigate your way through life most effectively. 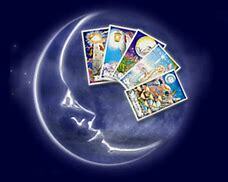 Tarot reflects the story of life and the energies you will encounter on your own journey. The focus is on asking the questions you really want answered and getting you the guidance you need. The Tarot therefore becomes a source of wisdom and guidance – an empowering tool rather than a means of fatalistic prediction. Full readings begin with a look at your current situation and what’s likely to come up in the near future according to the current circumstances. You then have the opportunity to ask 1 or 2 questions. There is usually just one or two main issues that you really want guidance on at any particular time. How can I improve my job right now? How can I improve my relationship with ___ right now? How can I improve my promotion prospects right now? How should I best approach my relationship right now? How should I best approach moving house right now? How can I best launch my new business? What should I do now that my job offer has fallen through? Alternatively you may have a couple of options to consider, such as ‘Should I focus on this or that?’ Or ‘Should I stay or leave?’ We can do short spreads for each option to help you decide. So if you need answers or guidance or are just feeling curious, why not book a reading and consult the cards!